We just came across a video of the HANDS DOWN smoothest Kappa Kane routine that you may ever see in your lifetime. 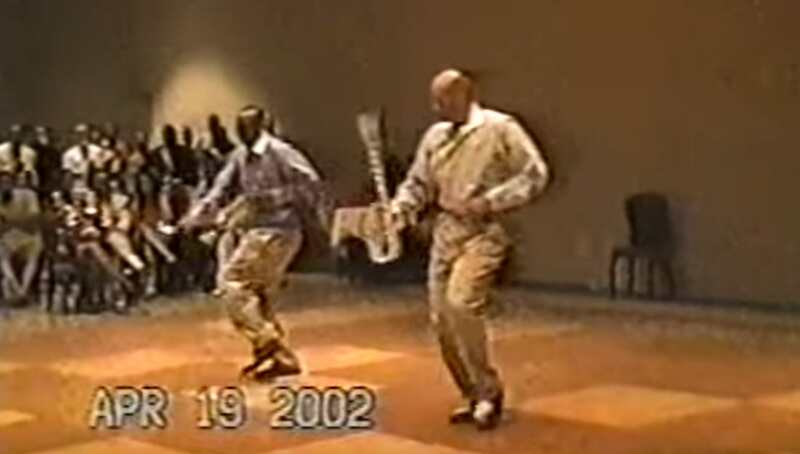 The video is from the 2002 Southern Provincial Meeting where two brothers, known as the Kream Team, hit the stage and performed a Kane duet that will go down in history as one of the best you’ve ever seen. Currently, there is a movement within the undergrad ranks of Kappa Alpha Psi to lean less heavy on the shimmy and focus on the fraternity’s signature art of Kane twirling. This video is perfect because it emphasizes the power and supremacy of the Kane over the shimmy and its effect on the audience during a performance. These brothers exemplify everything that is Kappa in their performance. They are smooth in a way that shows that they are trained and practiced but are so good at what they do that they appear to be pulling off this intricate technique with total ease. These brothers are cool, calm collected and their 4-minute routine is flawless. Share this on Facebook if you think these brothers deserve to go VIRAL! Share it with a Kappa and make his day!